This week has been all about production. Recording the right parts, perfecting the arrangement and getting the sounds the way we want to hear them is huge! This channel is called PRODUCE Like A Pro after all! haha On Monday we released a video called 10 Home Studio Production, Mixing & Mastering Tips which includes a cheat sheet. The cheat sheet talks a lot about setting up a template and getting your workflow going for recording. 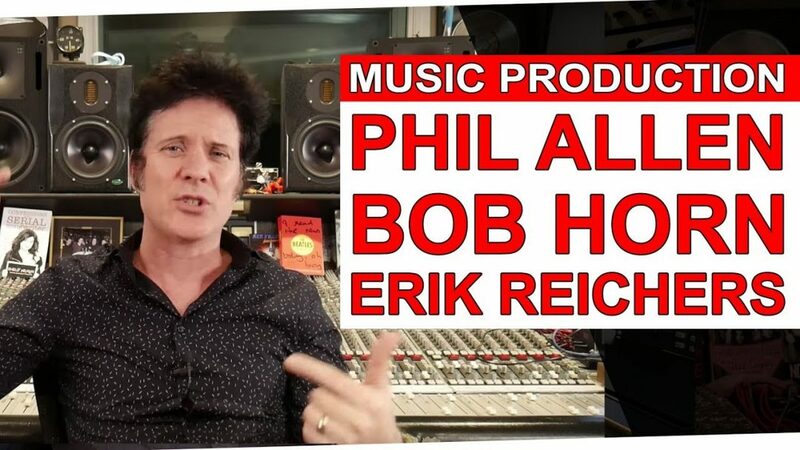 Since we’re talking about production, we’re going to give away 3 copies of “Producing & Mixing at Echo Bar Studios and Music Production with Phil Allen.” You can enter to win those a copy of those 2 courses above! These are very in-depth production courses- today’s video includes excerpts from both of these courses. You’ll see some of the production ideas that they were doing with the artist. Phil works with a guy singer and Bob & Erik are working with a girl singer.